The shadow of industrial hub and footballing superpower Porto weighs heavily over nearby Braga – although unprecedented progress by flagship Sporting Clube has raised the city’s profile as never before. 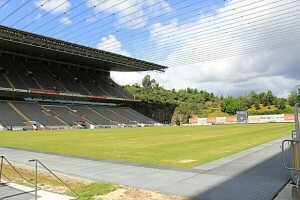 The development of the Estádio Municipal, built for Euro 2004, has been heavily sponsored by AXA and helped in this process. Braga may not yet be in the football big time but, as Portugal’s de facto third or fourth club, and as Europa League finalists in 2011, they now merit serious attention. The stadium itself is worth visiting just out of architectural curiosity alone. Carved out of sheer rock face, it comprises just two stands, literally a ground-breaking design on the part of award-winning architect Eduardo Souto de Moura. It stands immediately north of town, a Roman settlement and historic hub of Portuguese Christianity. 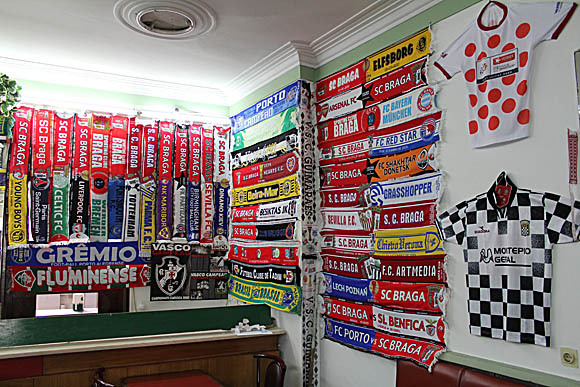 SC Braga are currently the northernmost club in the Primeira Liga, surrounded by a cluster of six others, including great rivals Vitória Guimarães. The Minho derby has intensified of late, with each club also challenging each other for a European place. In 2012-13, Braga made the group stage of the Champions League, although Manchester United proved too strong, while in 2015-16 the city hosted the likes of Marseille and Fenerbahce as Braga made it through to the last 16 of the Europa League. The nearest airport to Braga is in Porto, 54km (32 miles) away. A bus (€8/€14 return) runs directly to Braga bus station eight times a day, journey time 50min. A taxi would take 40mins and cost at least €60-€65. From central Porto, a bus takes 1hr and costs €4. A train takes 1hr and costs €3, if you get the suburban Linha de Braga (zone 6) and not the far pricier IC InterCity. City transport in Braga comprises a bus network (€1.50/day pass €3.25). The centre of town is pleasantly walkable. For a taxi call +351 253 253 253. 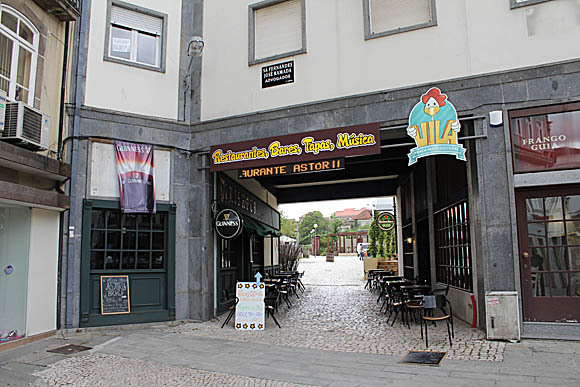 The Braga Tourist Office can provide basic information. The best hotel in town is the recently opened Meliã Braga Hotel & Spa, north-west of town at Avenida Gen. Carrilho Da Silva Pinto 8. The Hotel Bracara Augusta offers doubles at around €80, right on the Avenida Central. 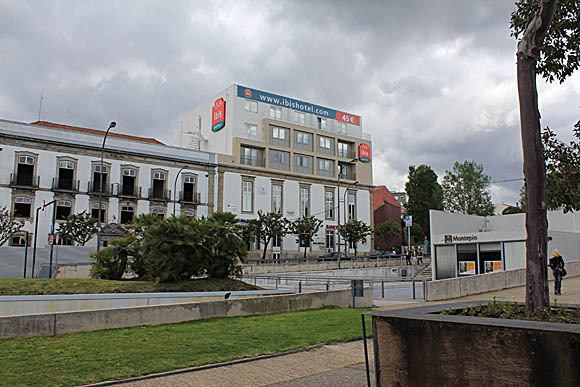 Slightly closer to the stadium, on Rua do Carmo, the Hotel Ibis Braga is an affordable chain. Practically next door is the Braga Pop Hostel, with private doubles. Also cheap but more characterful, the Hotel dos Terceiros is near the A Brasileira café. 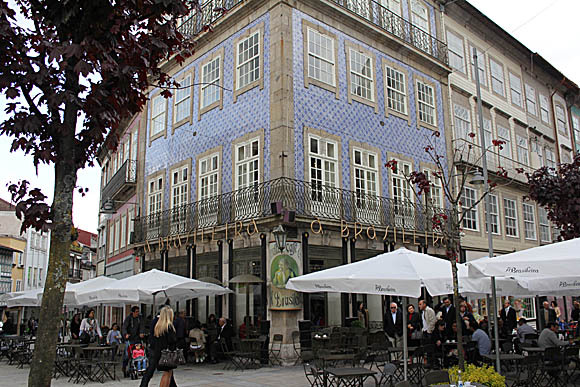 Braga Old Town is ideal for a bar crawl. On Praça Conde de Agrolongo, the Nova Bar Esplanada is handy as the last or first football-related drinking spot before or after you head to/return from the stadium. 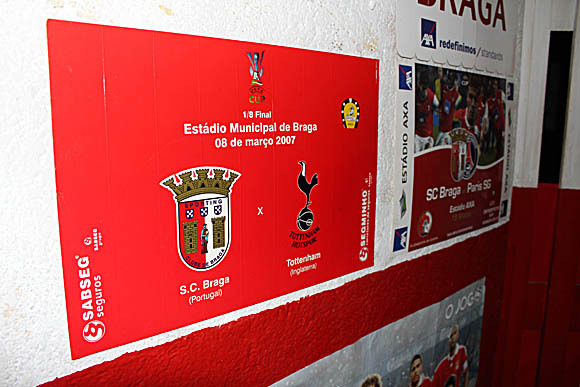 There’s an expansive terrace and a Braga poster to entice in the faithful. 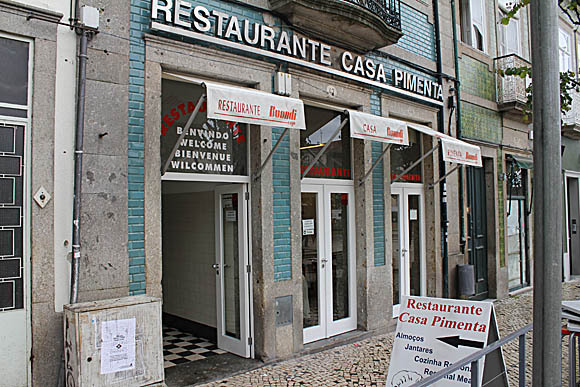 Just opposite, sample the vinho verde of the Minho region, and honest, home-cooked food, at Casa Pimenta. 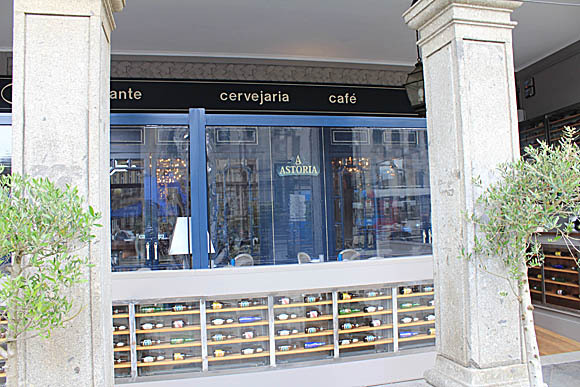 The town’s most famous café has to be the stunning A Brasileira facing the Tourist Office on Avenida Central, which is where Braga really comes into its own. 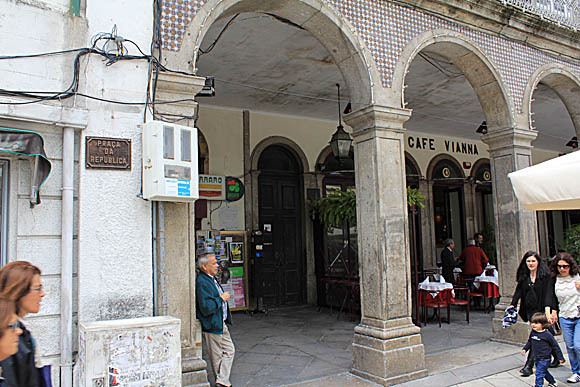 Turn north onto Praça do Republica and in the beautiful Arcada building you’ll find the decadent if football-free Café Vianna. Indeed football affiliation is mostly absent throughout the old town. 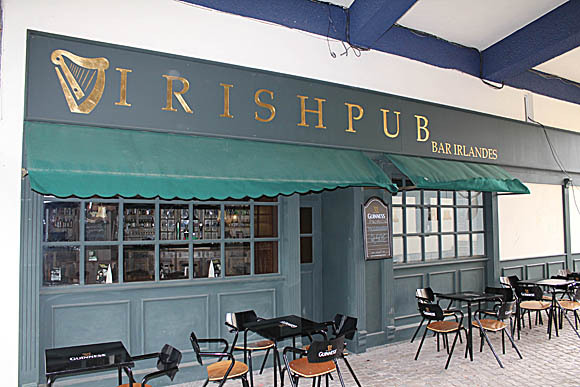 Next door is the upscale bar Cervejaria Astória, and, further along, the screen-lined Irish Pub, where Birmingham City fans enjoyed themselves after the Europa League game in 2011. 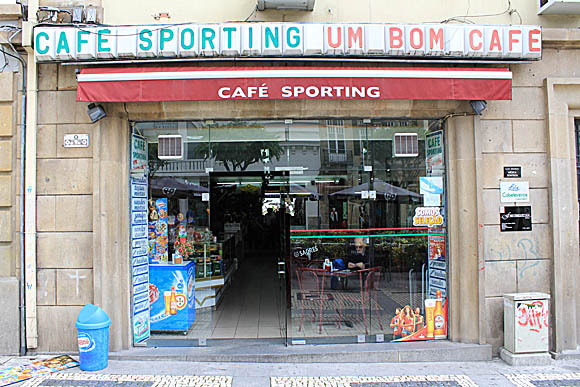 The real treat, though, is further south down Avenida Liberdade, opposite the Theatro Circo: the Café Sporting. 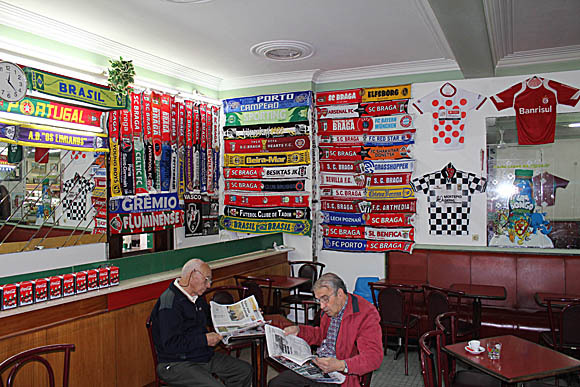 This is a football bar par excellence, where old locals read the daily sports amid scarves commemorating Braga’s clashes with Dynamo Kyiv, Sevilla and Birmingham City. Downstairs, there’s a bilhar room to knock out a few frames as José Mourinho in poster form looks on. Cod croquettes and meat empanadas help soak up the Sagres.